‘She should have died hereafter: when is death caused in law by breach of duty?’ Clinical Risk (2015) Vol 21, Issue 5 pp. 87-91. Charles has a growing practice in clinical negligence and appears for both Claimants and Defendants at all stages from interlocutory hearing through to trial. Prior to completing his pupillage Charles gained a wide exposure to complex clinical negligence work and assisted on several matters which reached the Court of Appeal. Charles’ experience includes case of delayed diagnosis, delay in surgical treatment, consent to treatment and vaginal mesh implants. Charles also undertakes inquest work associated with clinical negligence. Charles is currently junior counsel on a group litigation involving oral pregnancy tests which were prescribed in the 1950-1960s. Charles is able to call upon his previous experience as a College Tutor at the University of Cambridge focusing on tort law and Researcher at the University of Oxford. Charles’s strong academic background allows him to quickly absorb complex material and its interrelation to any given legal framework. As part of this work, Charles co-authored the following article ‘She should have died hereafter: when is death caused in law by breach of duty?’ Clinical Risk (2015) Vol 21, Issue 5 pp. 87-91, which focused on instances where an admitted breach of duty cannot be considered causative of a patient’s death. Charles practises in all aspects of personal injury and has experience in a broad range of areas including road traffic accidents, accidents at work and occupier’s liability. He undertakes advocacy at all stages from interim hearings to appeal. He has a busy paper practice and is regularly instructed to prepare advices (both as to liability and quantum), particulars of claim and schedules of loss. Rubner v Sajjad (Manchester County Court before HHJ Main QC): Charles successfully represented the Claimant on an appeal against a strikeout in which it was argued that the court acted ultra vires in removing the case from the portal due to the retrospective nature of the decision in Philips v Willis. Charles has a growing practice in industrial disease with a particular focus on asbestos related illness up to and including mesothelioma. 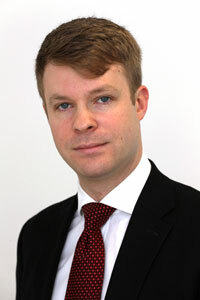 Charles is experienced in both written advices and court representation. Charles is keen to expand this area and undertakes both Claimant and Defendant work. Charles undertakes a broad range of commercial chancery work including advisory, drafting and advocacy. He has appeared in multiple trials, applications and case management hearings. He has experience in a number of areas that fall within the ambit of commercial chancery including, breach of contract, unjust enrichment and restitution, fiduciary obligations, consumer law, construction, insolvency, bankruptcy, and tort based liabilities including negligence, nuisance and conversion. He also has experience in the more traditional areas of chancery including, easements, profit-à-prendre, injunctions and trespass. Act on Carbon v Freedom Renewables Ltd & Suffield (Nottingham County Court before HHJ Godsmark QC): Charles acted for the Defendant on a two-day multi-track claim in which the Claimant alleged fraudulent misrepresentation on behalf of the Defendant. The claim centred around the Green Energy Initiative and contracts entered into to provide cavity wall insulation.